The ‘Independent’ bath is the model for those with special needs who wish to remain independent. 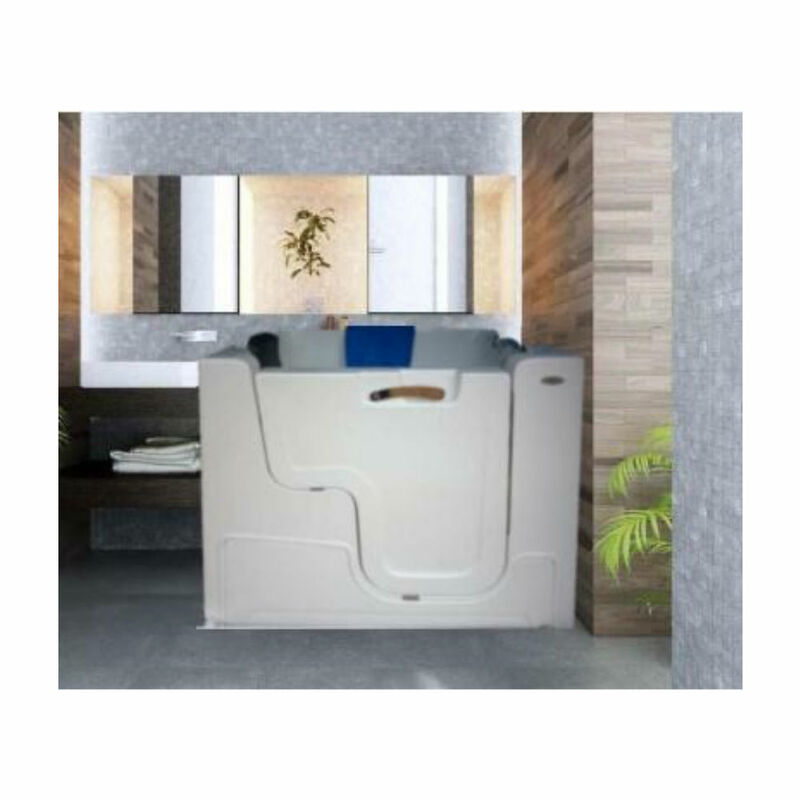 This slide-in bathtub is perfect for those needing wheelchair/hoist access or those looking ahead to future needs. The ‘Independent’ is the same size as a normal bath for those requiring a bath with larger inside dimensions. The panel underneath the door is removable to allow use of a lifter, such as the Arjo Maxi-Lift. Suggested for bariatric applications. AUSTRALIAN STANDARDS COMPLIANT complete walk-in bath. Requires specialised installation due to high flow plumbing and taps.